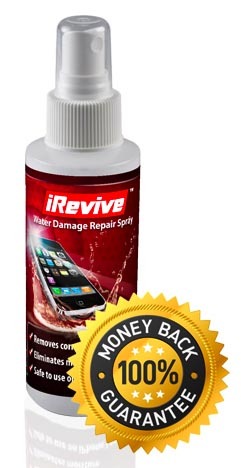 Use the sim card eject tool and remove the sim card from your phone. Use your pentalobe screw driver and remove the two screws from the bottom of the iPhone 8 Plus. Using your pry tool insert it into the bottom edge and slice trough the adhesive around the iPhone 8 Plus. Open the phone to the side. Remove the following 4 Phillips screws securing the bracket. Pry the touch screen and display cables up from the logic board. Lift up the 4 flex cable connectors from the iPhone 8 Plus logic board. Using the tri-point screw driver remove the two screws that secure the upper bracket. Disconnect the front camera cable and free the iPhone 8 Plus front assembly from the phone. 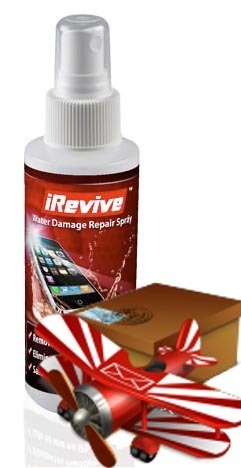 Spay the iRevive Spray generously on your water damage iPhone 8 Plus logic board and use the brush to focus on areas that you see the corrosion. Clean off the display assembly and front camera connectors as well. Snap down all the flex cables to the logic board. Re-connect the touch screen and display cables to the logic board. Re-insert the front camera flex cable to the logic board of the phone. Try to power on phone to test it. If no power, plug in the charger. Place the upper bracket and the two tri-point screws to secure the bracket. Place the lower bracket and the 4 phillips screws securing the bracket to the logic board. Twirl away the pentalobe screws back into the bottom of the phone. Power on your device and enjoy!